The world’s largest tech companies, from Apple to Amazon to Samsung, have ramped up their efforts in recent years to combat the global electronic waste problem through various recycling programs and initiatives meant to reduce pollution. But probably the most ambitious eco-friendly undertaking hails from Japan, where the organizers of the 2020 Summer Olympics started collecting old smartphones, digital cameras, laptops, and other electronic devices a couple of years back to turn them into... medals. Well, not every part of them, of course. Just the precious metals that happen to be used both for the manufacturing of the aforementioned categories of gadgets and to bestow upon the world’s greatest athletes the highest honor in their sporting disciplines. It obviously wasn’t an easy mission, but with more than 17 months still to go until the opening ceremony of next year’s Olympic Games, the collection phase of this visionary project is nearly finished, as reported by international news agency Agency France-Presse. By November 2018, a grand total of 47,488 tonnes of discarded devices had already been donated to Tokyo’s municipal authorities, with an additional five million phones handed over by customers of a major local wireless service provider. 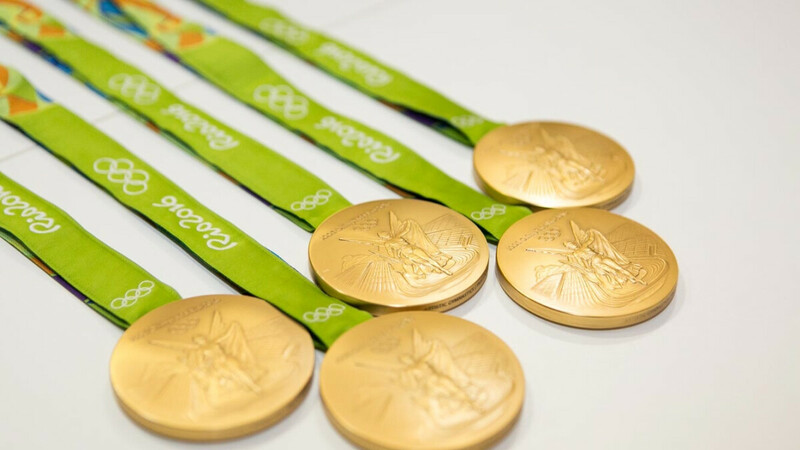 Overall, the target was to extract 67 pounds of gold, more than 9,000 pounds of silver, and close to 6,000 pounds of bronze to exclusively manufacture every single medal needed for both the Olympic and Paralympic Games of 2020 from recycled materials. The latest estimation is that all three goals will be achieved by using devices already donated, but just to be safe, the collection effort is set to continue until late March. Incredibly enough, all the required bronze to complete the mission was already collected and extracted by last June, with over 90 percent of the gold and around 85 percent of the silver target also accomplished around the same time. In case you’re wondering, the typical iPhone is estimated to contain roughly 0.034 grams of gold and 0.34g of silver, which tells you everything you need to know about the world’s e-waste plague. And Japan is not even the most wasteful country by volume, ranking behind the US and China with millions of tonnes of electronic products improperly discarded every year.